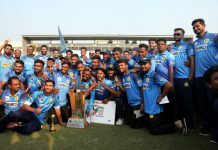 Kalabagan Krira Chakra, Khelaghar Samaj Kallayan Samiti and Prime Bank Cricket Club clinched victory in the third round of Walton Dhaka Premier Division Cricket league 2016-17. Kalabagan and Khelaghar sealed their first win of the tournament. Kalabagan Krira Chakra posted 259 for 6 after 50 overs against Victoria Sporting Club thanks to Mehrab Jr, Tushar Imran and Muktar Ali’s half-century at BKSP-3. In reply Victoria Sporting Club managed to score 249 for 9 in 50 overe and lost the match by 10 runs. At BKSP-4, Khelaghar Samaj Kallayan Samiti won by 77 runs against Partex Sporting Club. Amit Majumder’s hundred helped Khelaghor to post 288 for 8 in 50 overs. Partex Sporting Club were bowled out for 211 as Jony, Tanvir and Sadekur all picked up 3 wickets each. 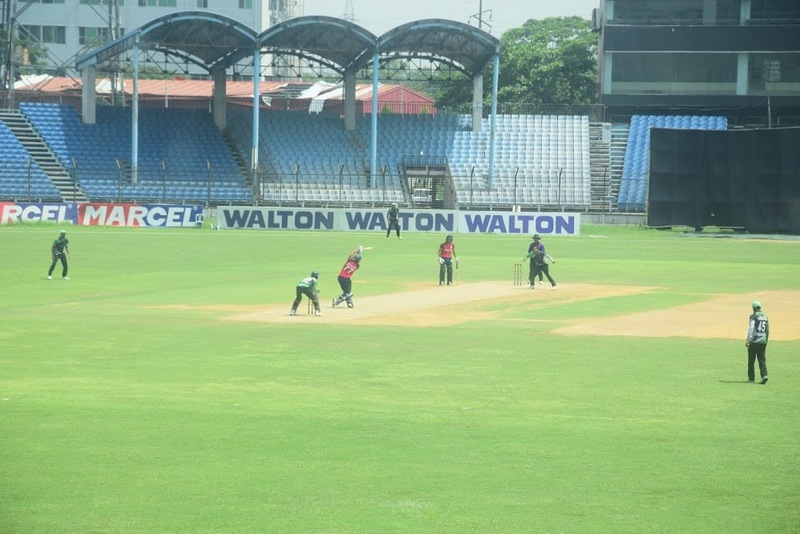 Prime Bank Cricket Club maintain their winning streak and beat Mohammedan Sporting Club by 7 wickets at Khan Shaheb Osman Ali Stadium, Narayangonj. Match was reduced to 41 overs per side due to rain. 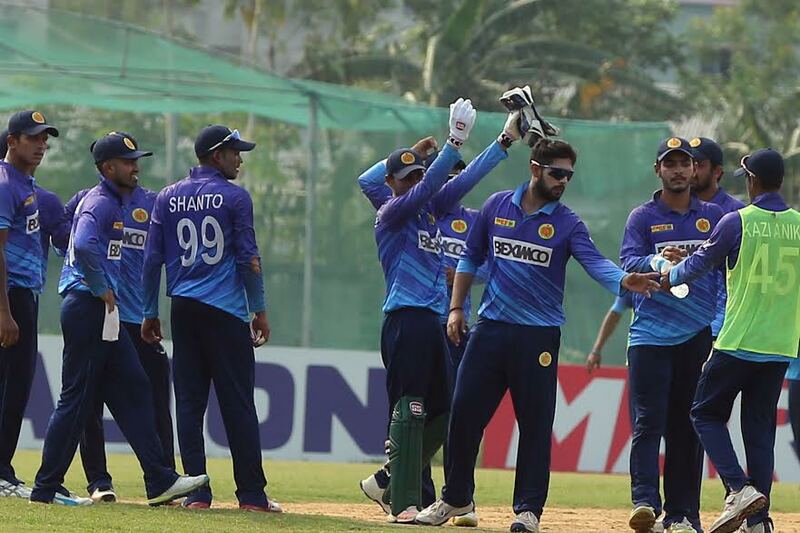 Mohammedan was bowled out for 142 as Al Amin picked up 5 wickets for 25. 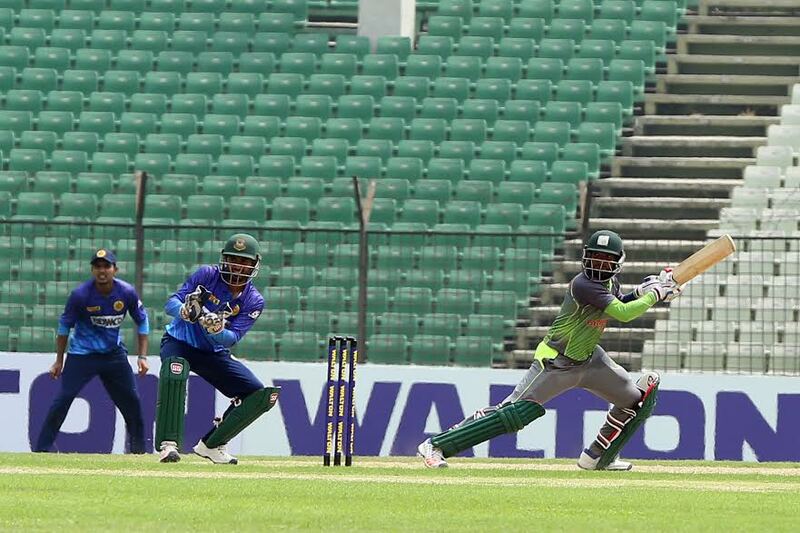 Despite losing couple of early wickets, Sabbir Rahman’s unbeaten 78 sealed a easy win for Prime Bank. Kalabagan KC : 259/6 in 50 overs (Mehrab Jr. Result : Kalabagan Krira Chakra won by 10 runs. Result : Khelaghar Samaj Kallayan Samiti won by 77 runs.